HAUNT: Dead Wrong - Blog Tour! Will and Dougie are back! Thursday 26th February sees the release of "HAUNT: Dead Wrong", and to celebrate this there's going to be a Haunt-centric blog tour featuring the above fabulous friends online. There's different articles on each, not solely concerning the YA ghost story but also Wereworld and my animation background. Do pop along, join in and comment! Lots of school visits in January, more than ever in fact. Here are a few write ups from those trips. 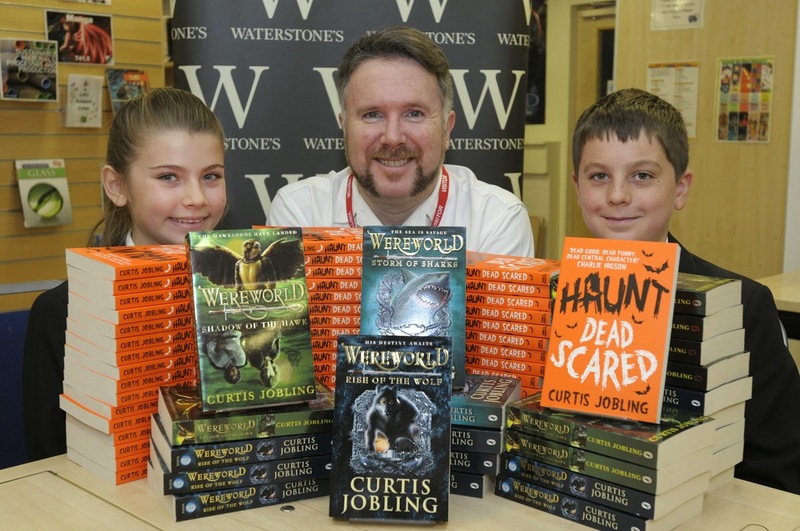 Remember - students, teachers, librarians - if you'd like me to visit, just get in touch, either on the official Curtis Jobling website or on Twitter.